Al-Arabian Novel Factory is one of a twin novel set by Indian writer Benyamin. Both novels take place against the background of the Arab spring. The narrator of this novel is Pratap, a Canadian writer of Indian origin, who has been farmed out by his magazine to assist a well-known novelist research a new novel set in the Middle East. Pratap and a team of researchers arrive in the City, a fictional Middle-Eastern capital, to conduct interviews and record stories for the novelist, just as a popular protest movement is dying out. Pratap, who is in the City for his own reasons, slowly gets drawn into the City’s politics. The first thing I did that day was rent a car. In any new place, freedom of mobility is the first freedom to aim for. At the rental car agency, I was surprised to see so many Malayalis. At my apartment building too, the receptionist, the cleaning staff, the watchman, the pool operator – they were all Malayalis. The department stores that I had visited yesterday with my friend Bijumon were also full of Malayalis. And now, a Malayali called Reji stood behind the desk in the rental car agency. Reji was pushing me towards the big cars. The rental fees were half what they used to be. And they came equipped with a GPS, he pointed out, making the City much more navigable. But I didn’t want to sit behind a wheel doing what a machine ordered me. I wanted the streets of the City for myself. I wanted to get lost. I wanted to go down the wrong street and return and wonder where to go next. I don’t like streets with all the right answers. I finally rented a cheap car of Japanese make. Then I turned to the task of getting to know the City and its people. “How is business?” I asked Reji. “But why? Why not look for another job?” I asked. I headed into the City with that question ringing in my head. I drove aimlessly. I wanted to meet the City, to introduce myself to it. I took long avenues and narrow galis. I passed through shops and malls. I mapped the City’s landmarks: Tripoli Hotel, Sana Fabrics, Baghdad Avenue, Teheran Carpets, Cairo Perfumes, Muscat Mall, Amman Tower. None of them seemed unfamiliar. I had roamed the city in my mind, holding Jasmine’s hand. In reality, all I knew was that she lived in some corner of the City and worked for an insurance company. But still, I kept an eye out, fully expecting that like a miracle, she would appear in front of me. From her Facebook photo, I remembered the balcony in front of her flat, the peach colored paint on its walls, the flowerpot on one side. From an email, I knew that her flat faced a mosque with tall minarets. There was an almond tree near the spot where she waited for her bus. Whenever I saw an apartment building with balconies, or an almond tree, or the minarets of a mosque, I studied them eagerly. Edwin arrived three days later. I went to meet him at the airport. He was coming from London, where he worked for the research team of the same anonymous writer who had hired our firm. Barely twenty-five years old, he seemed a high-octane character. We had only exchanged a few emails but he greeted me as if I were an old friend. “Oh no…poor little Majesty! That little hovel over there is what Arabs call a palace?” Edwin sniggered. “Even an ordinary billionaire in my country would live in much better house. And we don’t even have any oil, we merely steal theirs.” I thought then of some of the splendid Indian palaces. Even a zamindar in India lives in more glory than some of these Middle-Eastern royals. As she got out of the car, Asmo shook hands with me. Edwin got a long kiss. “We just met on the flight,” he said on the way to our apartment. I was astonished. I thought she was his longtime girlfriend. “Asmo was sitting next to me. She was reading her book seriously, as if she were a professor. When I said hello, she gave me a grim ‘hi’ and went back to her book. I was miffed. What was this book she was reading when she could have been flirting with a blue-eyed stud like me? It was In Praise of the Stepmother, by Mario Vargas Llosa. I had read some of his other stuff but not that one, so I had no idea what it was about. I should have known something was up because after reading each sentence, the grim professor lady would smile to herself. At some point, she fell asleep and I picked up the book from her lap and took a look at what she was reading. I couldn’t believe my eyes. It was a detailed description of a woman going wild with pleasure. Now I understood those smiles of hers. When she woke up, I was reading the book. She started laughing, and that’s how we introduced ourselves to each other. For Edwin, the Middle East was a place of bloody legends and tales of terror. He thirsted to know what this region was really like, how it was moving forward despite its storied past. “But it was not just a journalist’s interest or a European’s curiosity,” he continued. “I, too, have an old connection to the City. My great grandfather George Martin Lease spent a lot of his youth here. Have you heard of Major Frank Holmes, who found the first oil reserves in this region? My great grandfather was his best friend and a member of his prospecting team. They were both geologists. They met and bonded during the First World War, while working in the British Army’s supply section. Both of them dreamed of oil. When they came to Iraq they were both convinced that there were oil deposits in the Middle East. They were standing in this soil when Frank Holmes turned to my great grandfather and said, “I smell oil.” After the war, they both left the army and turned to oil prospecting. Holmes had some experience looking for gold in South Africa and my great grandfather had spent some time in the coal mines of India, but that was it. They wandered all over the Mesopotamian desert and the Persian peninsula sniffing for oil. There were two more members in our team but their arrival was delayed again and again and their tickets had to be rebooked several times. “You Canadians and Europeans don’t know what visa problems are,” our project coordinator, Abdulla Janahi, told us. “The two people we are waiting for are coming from Asia. They have to jump through hoops to get their visas.” I remembered then how I had walked out of the airport after five minutes of visa processing while laborers from Asian countries were sent to stand in long lines as if they were cattle. We could not wait for them indefinitely. It was time to start work. Edwin and I picked one of the four office spaces that Abdullah Janahi showed us. Of course, I had no idea where to begin. It’s not as if we could simply waylay people on the street. And besides, who would want to bare their soul to strangers? Could the stories we gathered from newspapers and official documents be anything other than superficial? How far could a writer go with such research? Though Edwin was supposedly there to give us guidance, I couldn’t bring myself to ask a much younger man for advice. Still, we would often go out together. He was still enthralled at the idea of being in an Arab city. Each and every thing he saw fueled his enchantment. The man on the cycle with birdcages strapped behind him, the Bengali migrant roasting peanuts by the side of the road, little Arab urchins who tailed us, offering to sell us the latest cell phones for rock-bottom prices, donkey carts with oil tanks in them, women dressed from head to toe in black posing for selfies, the middle-aged man who spread out his prayer rug on the sidewalk and started praying—everything moved him to wonder. Whenever he saw an Arab in traditional robes, he would stare as though he were in a dream. He thought of them as characters in some folk tale. “I see bygone eras in their faces, Pratap.” That was his half-stupid, half-innocent explanation. Some days, I would wander around the City on my own. I would visit shopping malls and galis. I was not so much searching for authentic experiences to record as I was hoping to run into Jasmine. I longed to see her in the street. During those wanderings, I met two more acquaintances from my hometown in India. I didn’t even know they lived here. But the person I desired never appeared in front of me. I was seeing the City, of course. But I was not experiencing it. Like any other city, it seemed to wake up, go through the motions of the day, and go to sleep. The usual crowds, the usual rush hour. There were no signs of the protests that had recently taken place here. To think about the fear this city had inspired when I mentioned my travel plans! Sure, there was a curfew on and that made life inconvenient. But that was it. Barely enough to fill a three-column newspaper article. That weekend I went to the Malayali Samajam of the City with Bijumon. It was an elegant building with huge grounds. I could hear the sounds of a tennis match from its courts. The library was filled with readers. A seminar on “Globalization and a Changing World” was taking place. It began with a speech thanking His Majesty for the opportunity to organize the seminar. This was followed by fierce speeches about how globalization was taking the form of neo-colonialism and the importance of defending democracy. I, too, was invited to speak but I declined. Someone muttered, “What can a Canadian say about colonialism. He is probably all for globalization.” I did not respond to that. I had only pity for those who make political resistance speeches after thanking His Majesty. On the way to the restaurant, we got caught in traffic. Several police vehicles were buzzing in front of us, their lights flashing. Fire engines with blaring alarms were trying to get around the traffic by driving up the sidewalk. I thought there must have been an accident. Though Biju and Raju told me not to, I got out of the car, unable to tamp down my newshound curiosity. A few vehicles up, I saw a fire on the street. Maybe a car had caught fire? But when I got closer, I saw that a pile of tyres was blocking the road and had been set on fire. The police were trying to put out. At the same time, lit torches were being hurled at them from behind a nearby wall. The police were fighting back with tear gas bombs. I felt my own eyes suddenly tear up and ran back to the car. Biju and Raju laughed at me. “Told you so,” they mocked. “We thought, why not let the Canadian learn the hard way?” Within ten to fifteen minutes, the fires were out and the traffic started moving again. I swallowed my anger and asked Raju, “Have you ever tried to understand what the real issues are?”. That night we ate chicken tikka and lamb chops and beef kebab and hummus in a Lebanese restaurant. But I could not stomach it. When I returned to the apartment, I threw up. Alongside all that roasted meat, there were some undigested words in my puddle of vomit. Benyamin is the pen name of Benny Daniel, an Indian novelist and short story writer in the Malayalam language. Born in the south Indian state of Kerala, he spent several years working in the Middle East. He has received the Kerala Sahitya Akademi Award, and he was shortlisted for the Man Asian Literary Prize in 2012 and for the DSC South Asian Literature Prize in 2014. 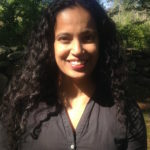 Shahnaz Habib’s writing has been published in Creative Nonfiction, Agni, Brevity, 91st Meridian, Elsewhere, The Guardian, Afar, and The Brooklyn Rail. 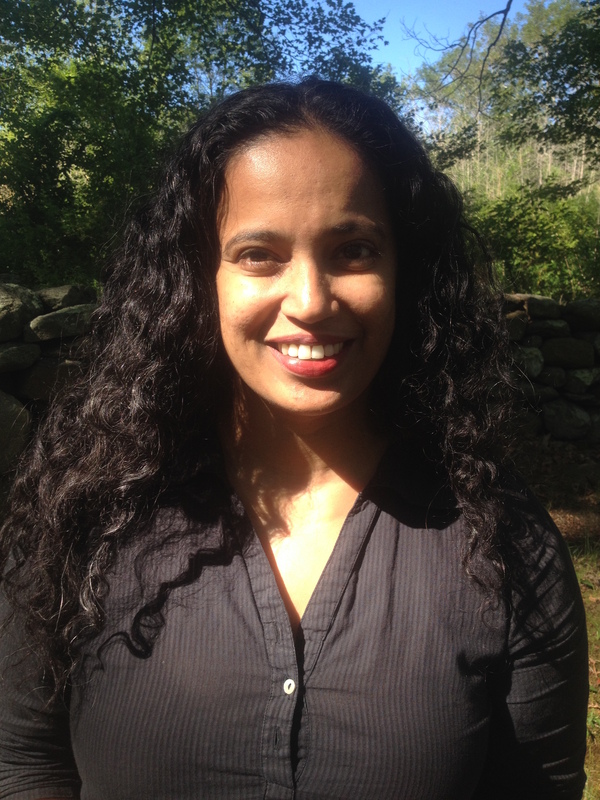 She received a 2014 Fellowship in Nonfiction from the New York Foundation for the Arts. She is an editor at Laundry, a literary magazine about fashion.